Food, games, music and a chance to mingle with friends, classmates and neighbors. (Note: Amazon has our PTSA listed in Tacoma because that is where the state registers all PTSAs). The eScript program earns FREE money for Ardmore every time you get groceries at Safeway or other participating merchants! 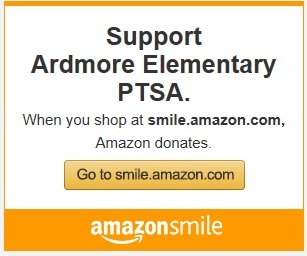 Safeway or other participating merchants will contribute a percentage of each of your purchases directly to Ardmore PTSA. Click here for details. If you're new to eScript, click here to REGISTER (Note that Ardmore PTSA's ID is 8560786). If you've registered in the past, you need to RENEW your registration.